This week the word to photograph is Handwriting. 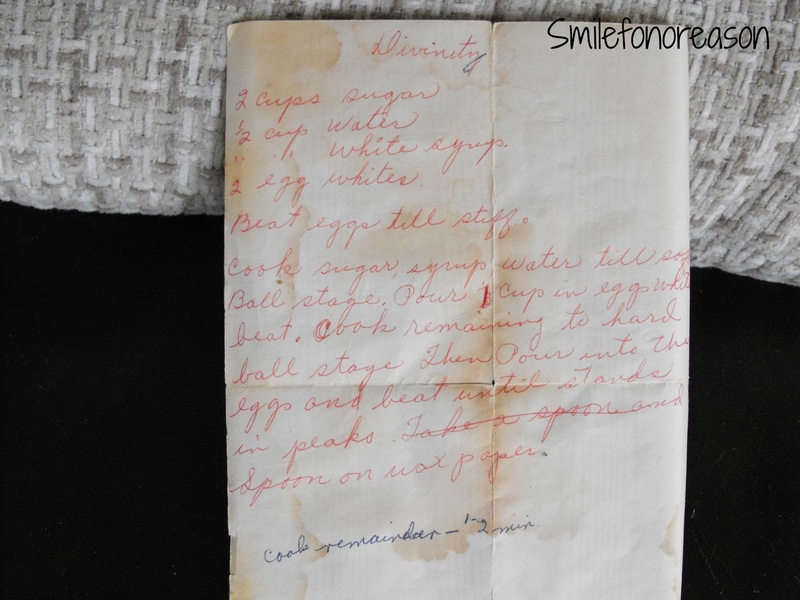 This is a recipe I have that belonged to my grandmother written in her handwriting. 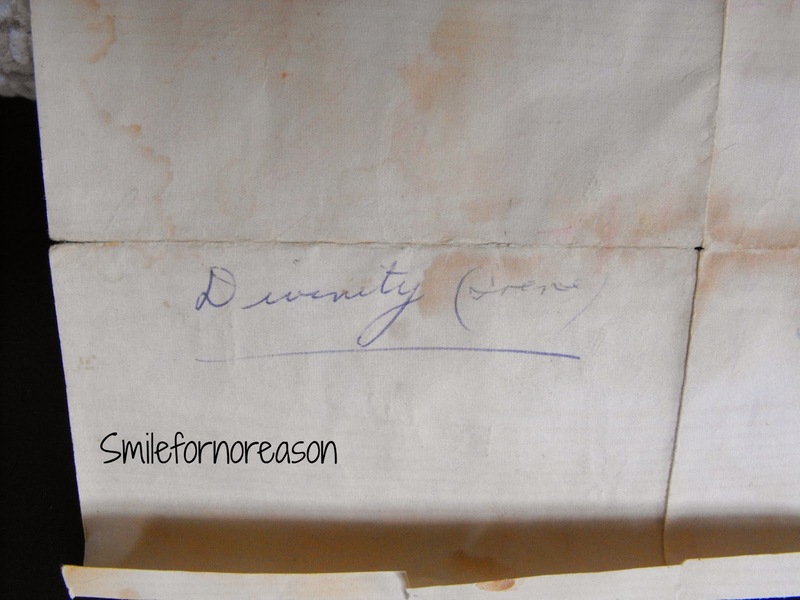 Here is her signature on the back of the recipe. 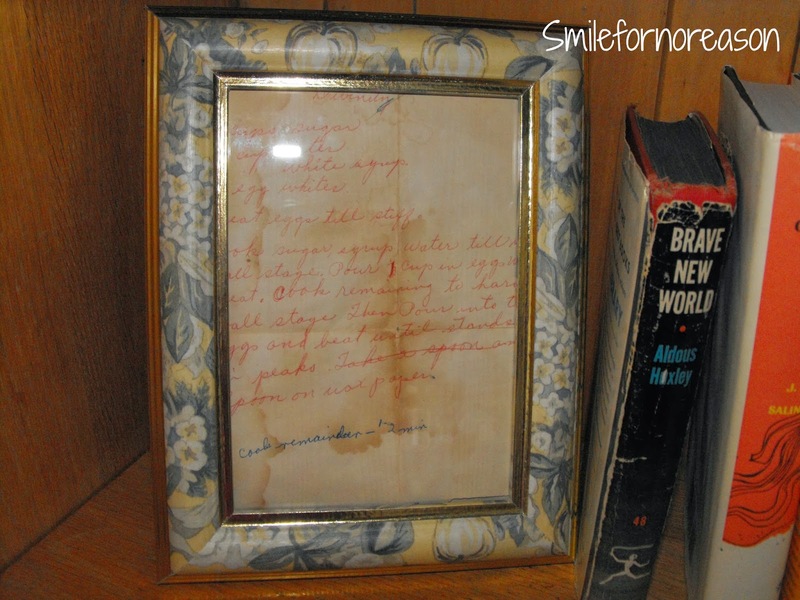 I keep her recipe in a picture frame on a shelf close to her china. 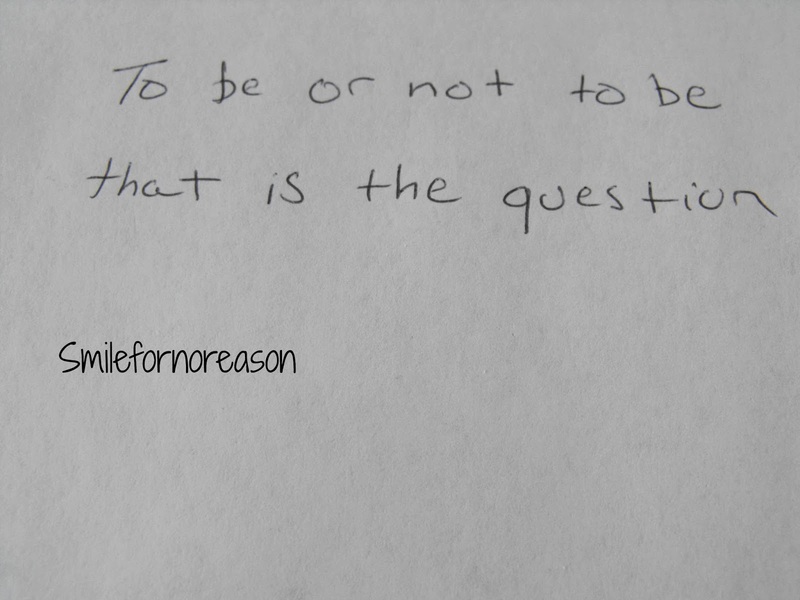 A picture of my handwriting. 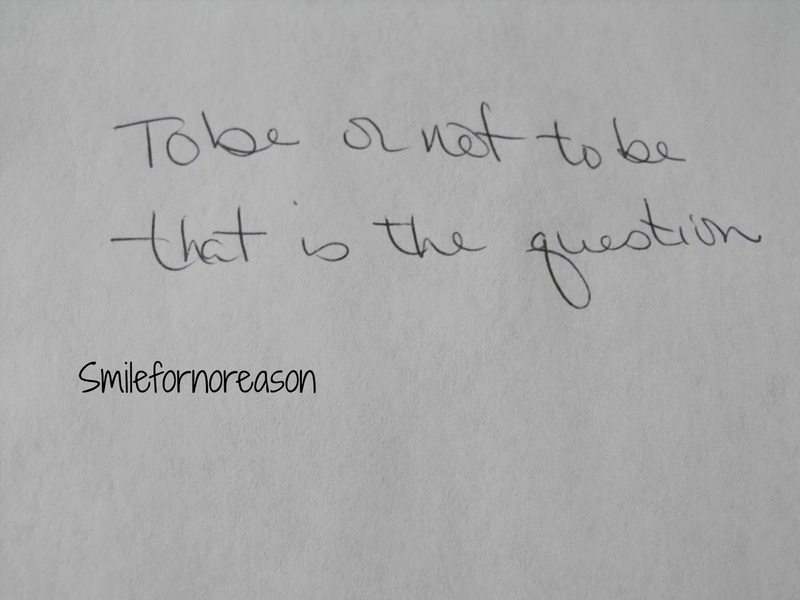 A picture of my handsome husband's handwriting. A picture of my wonderful son's handwriting. Someone else offered his handwriting sample also. 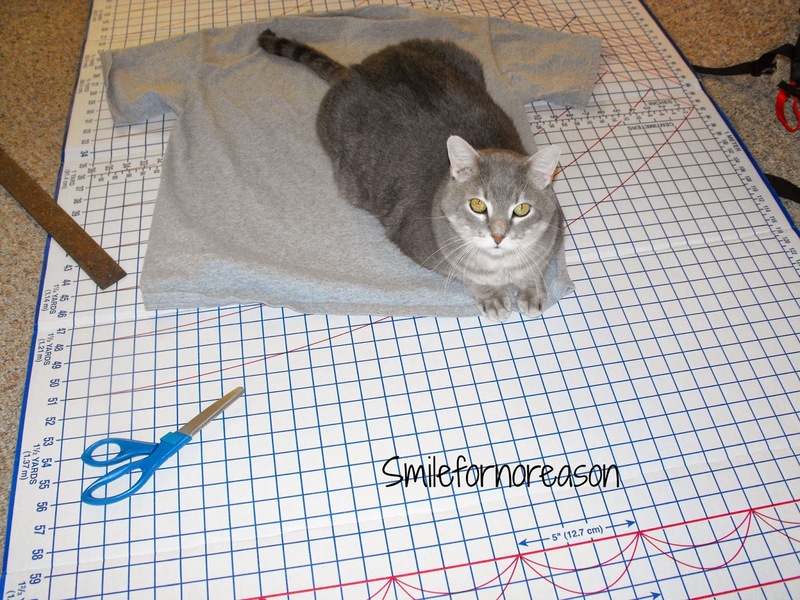 He might not have been too happy to help with his forced participation. Hiding his paws and a rather perturbed look! 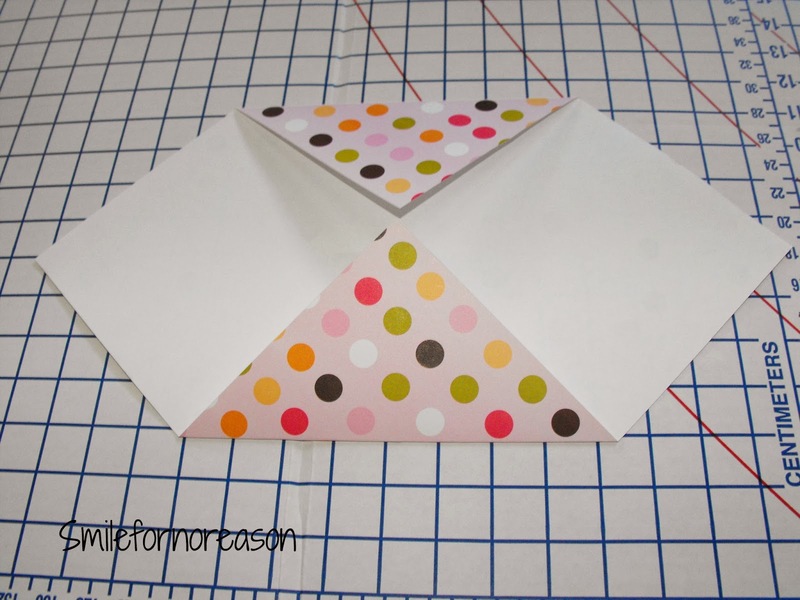 You know me, while browsing the world wide web, I happened across videos on how to make your own envelopes. I love the prints on card stock paper, so I gave it a try. Here is my finished envelope. Love the polka dots. And, of course, I chose pink! 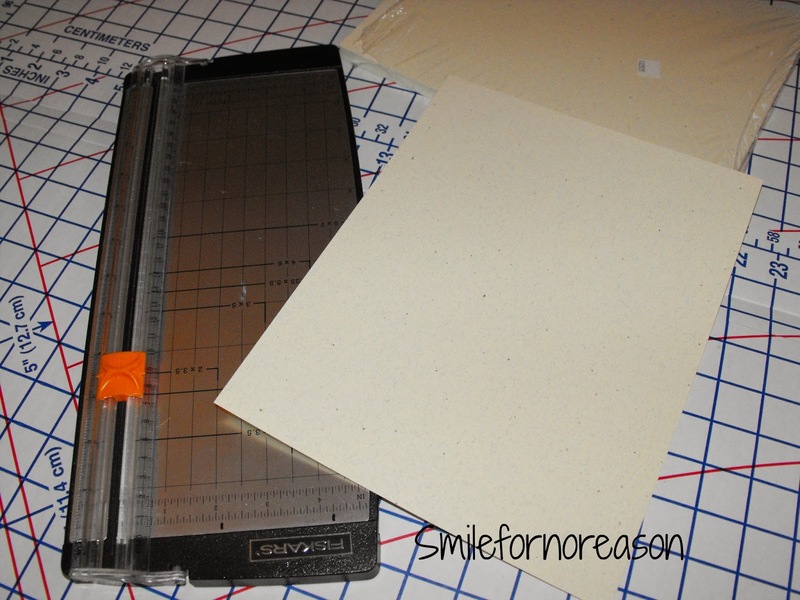 Your first step in making your envelope is to chose your piece of 12x12 card stock paper. You then fold the paper in half, bringing two corners together. 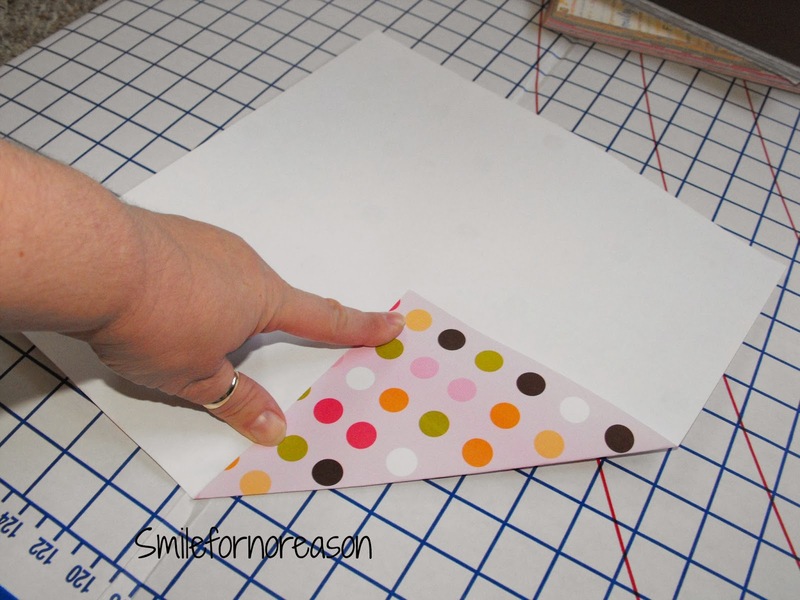 Slightly press the middle of the paper to mark where the first fold will need to be placed. Unfold the paper and bring in a corner of the paper so that the tip of this is meeting the middle of the paper that you just marked. 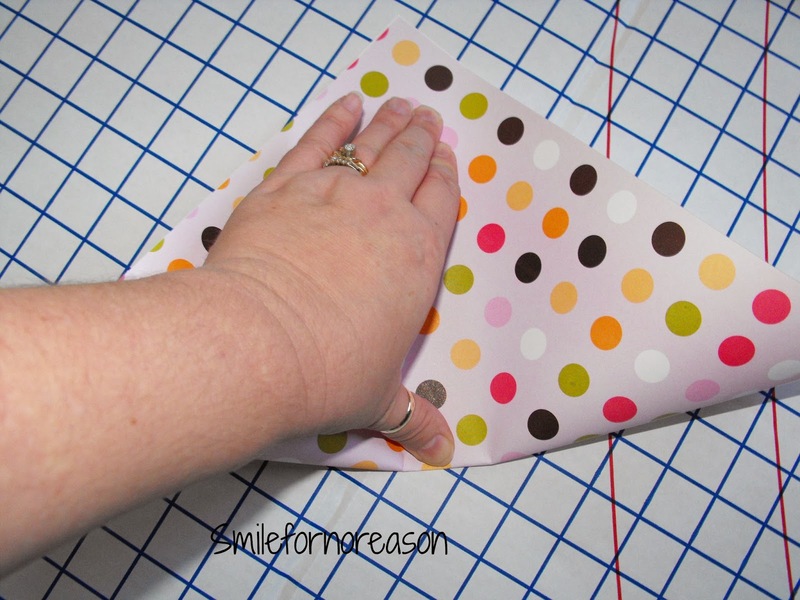 Crease your fold. 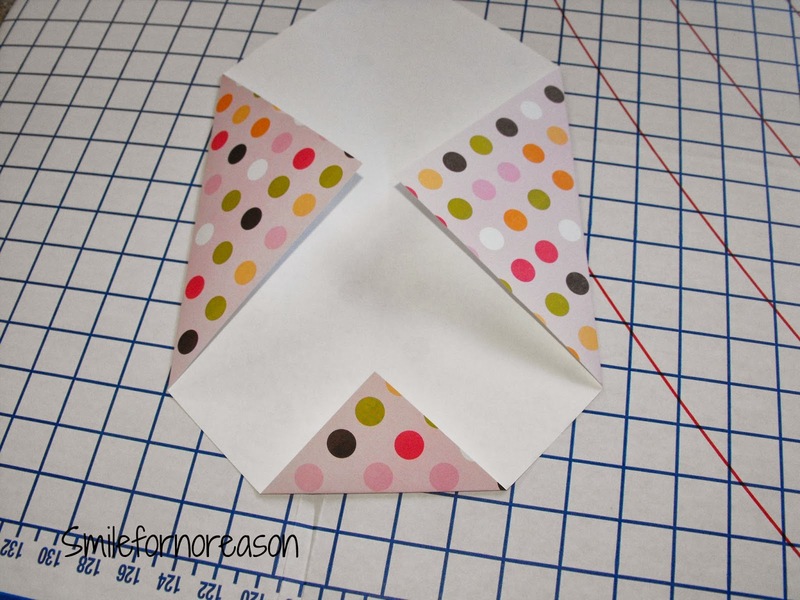 Bring in the corner from the opposite side of the paper and fold in the exact same way. 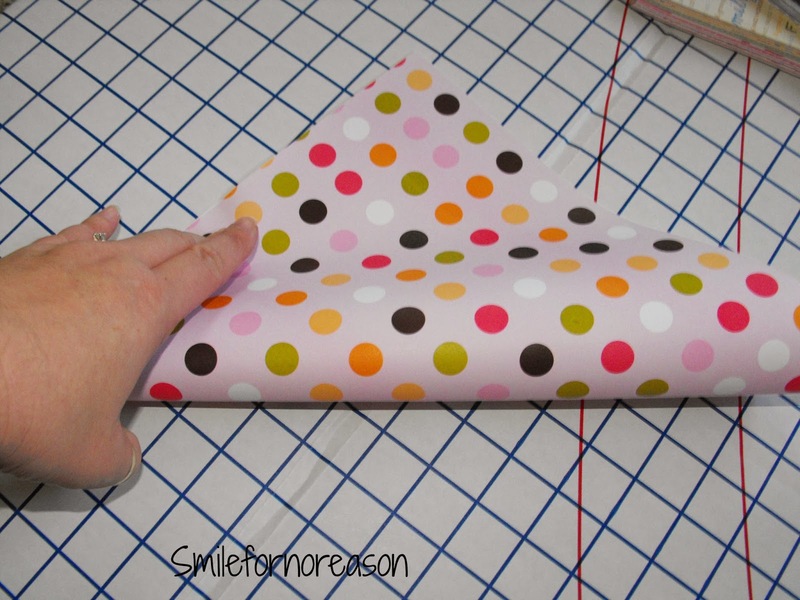 Crease this fold. Your envelope should look like this at this point. 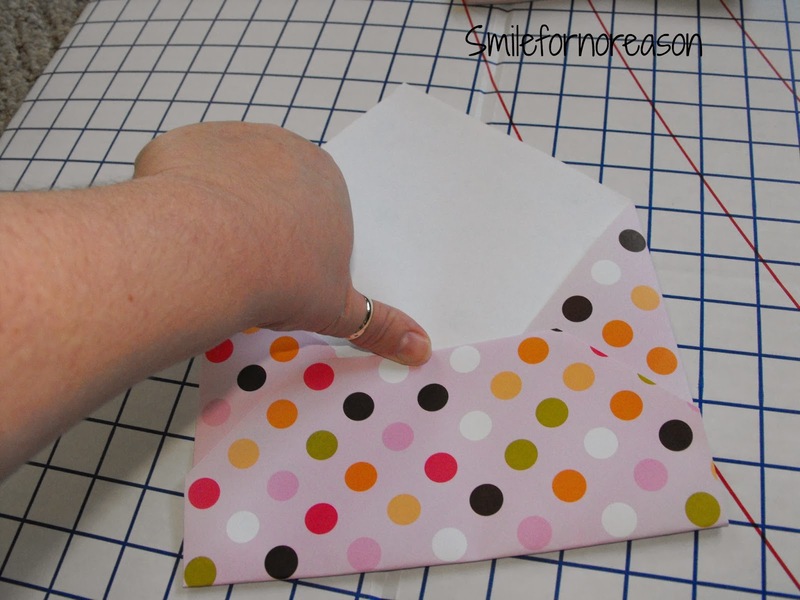 Now fold down the corner on the bottom of the envelope about an inch or so and crease this fold. 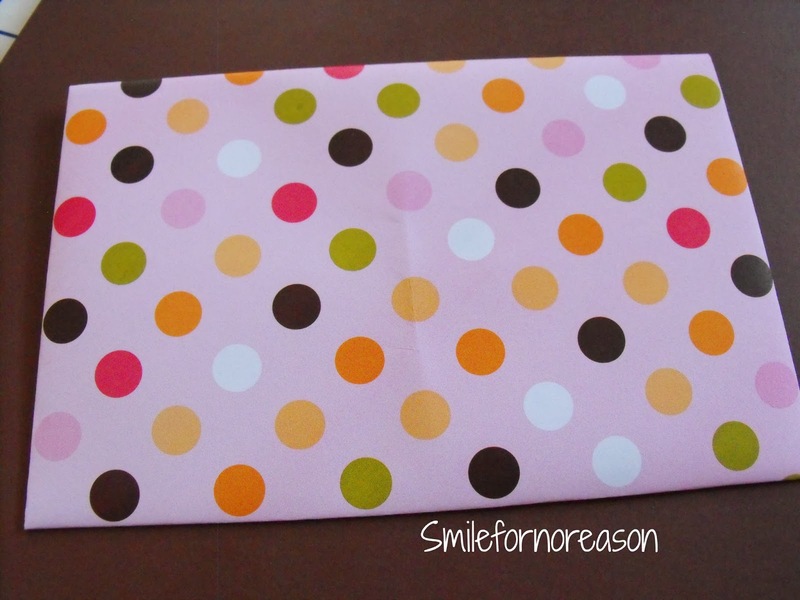 Bring this folded side up to the middle of the envelope. Crease both sides. Almost finished! 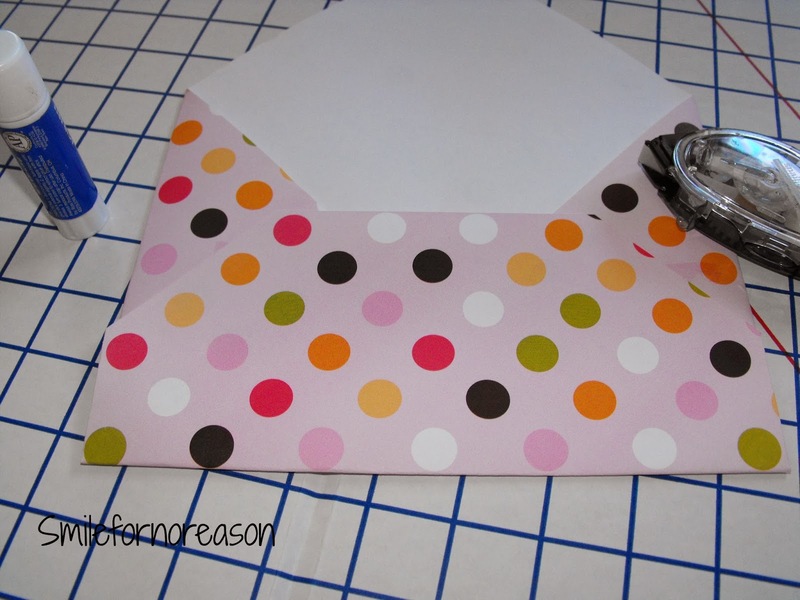 Now use a glue stick or roll tape to attach the bottom flap to the side flaps, making sure not to glue your envelope closed. Bring the top flap down, crease, and you are finished. 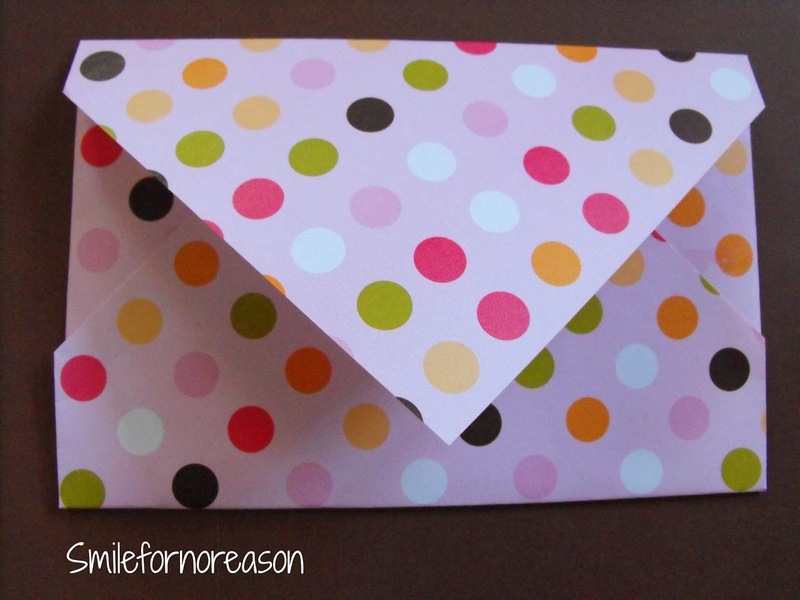 You are now ready to fill your envelope with letters and goodies. I reinforced the edges with scotch tape when I was finished, because my handsome husband said to do this just in case a stray edge was caught on a piece of machinery and ripped, everything inside would fall out. So after I placed my letter in the envelope, I taped all of the edges together. 91 cents to mail the package. When finished, you might need to use two or more stamps. If you try this, let me know in the comments below. I would like to know what colorful card stock you chose! Last night, I threw together a quick, easy, handmade card. 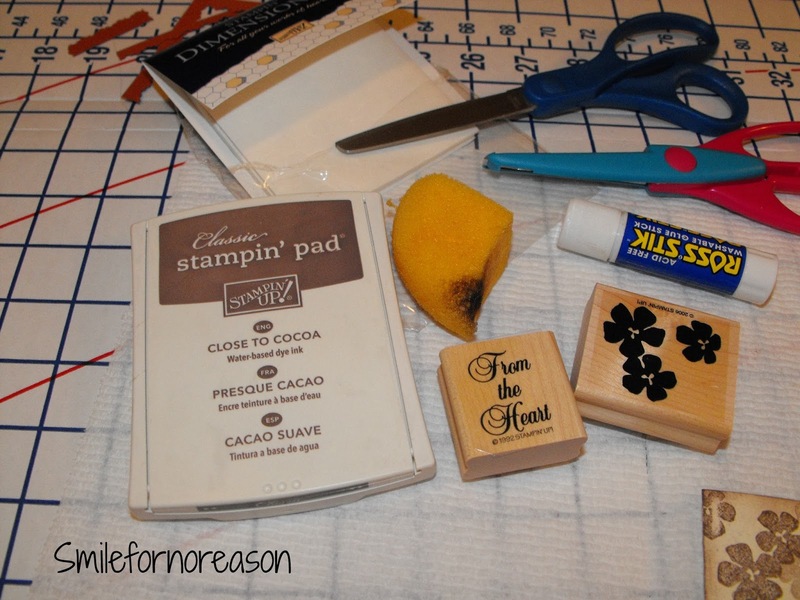 Here are the supplies I used to make the card. 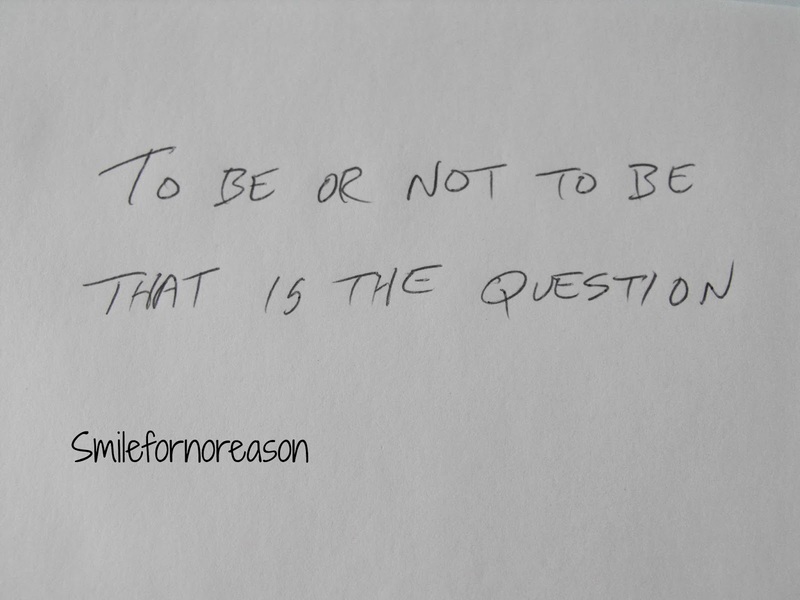 I chose to use an 8 and a half inch by 11 inch piece of card stock paper. I cut the cards to 4 x 8 inches. I was able to get 2 cards from the 1 piece of card stock. Fold the cards in half and you are ready to start decorating. First, I used the flower stamp on the front of the card. 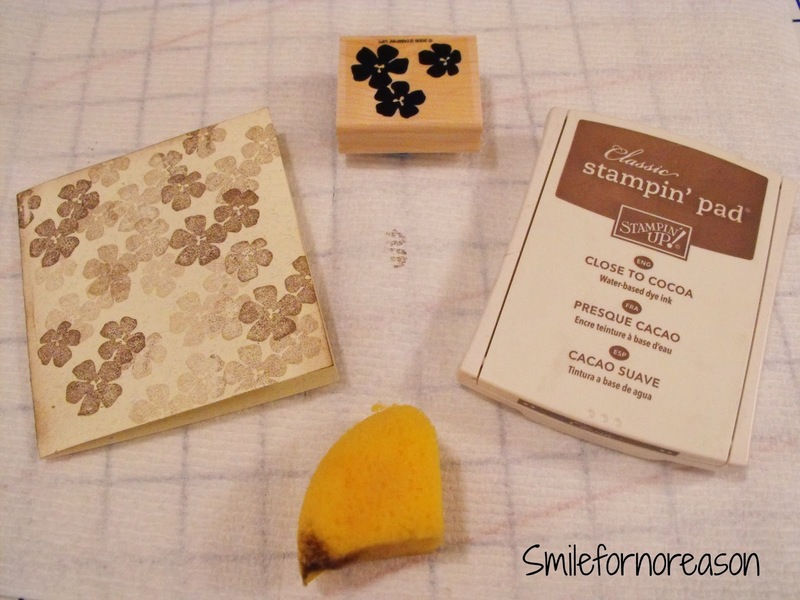 I placed the stamp in the close to cocoa ink pad and then, placed the stamp on the card. Next, I placed the stamp on another area of the card. 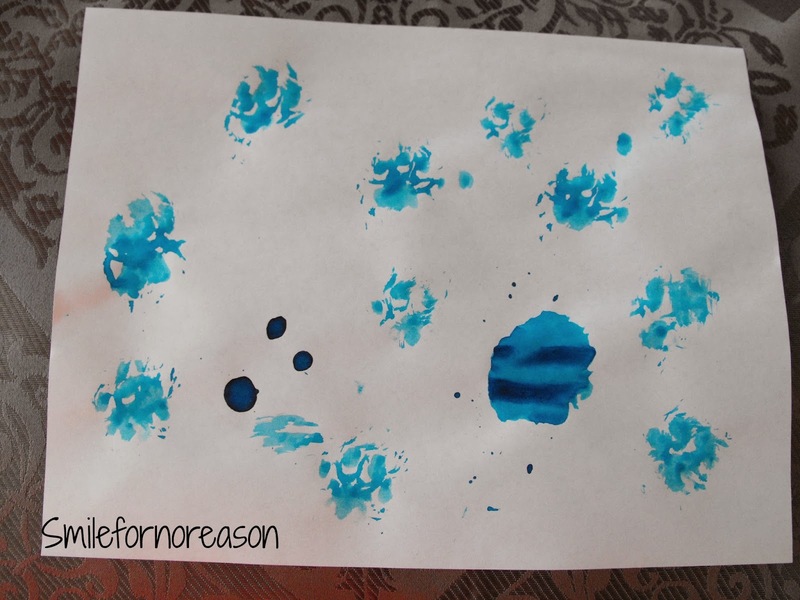 I did not place the stamp back in the ink. I did this same step one more time, giving the flowers some depth and dimension to them. 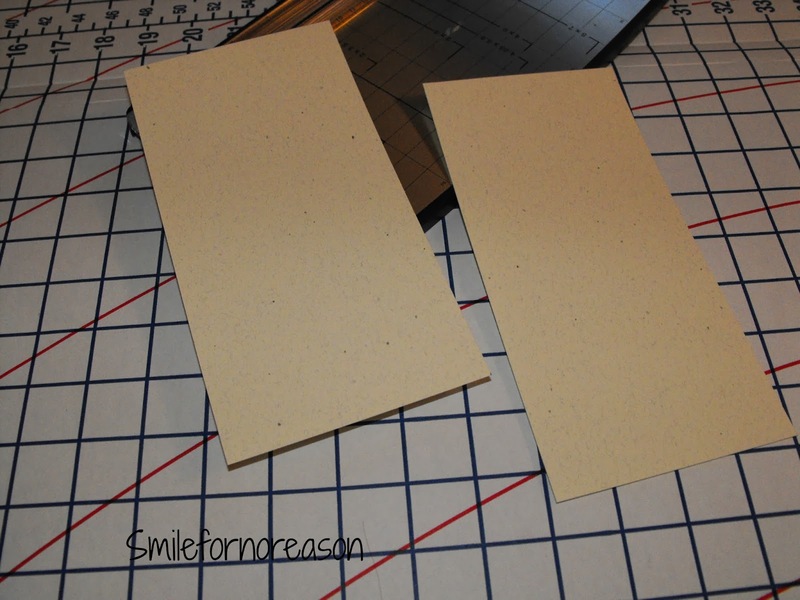 I tapped the end of the sponge into the ink pad and brushed the edges of the card giving it a slight distressed look. I used two small pieces of scrap paper. 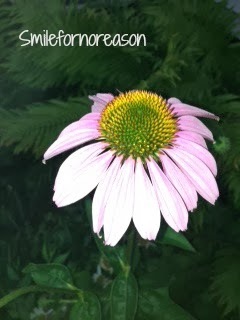 I stamped, from the heart, in the same color as the flowers. I used scissors and cut just around the edge of the stamped design. 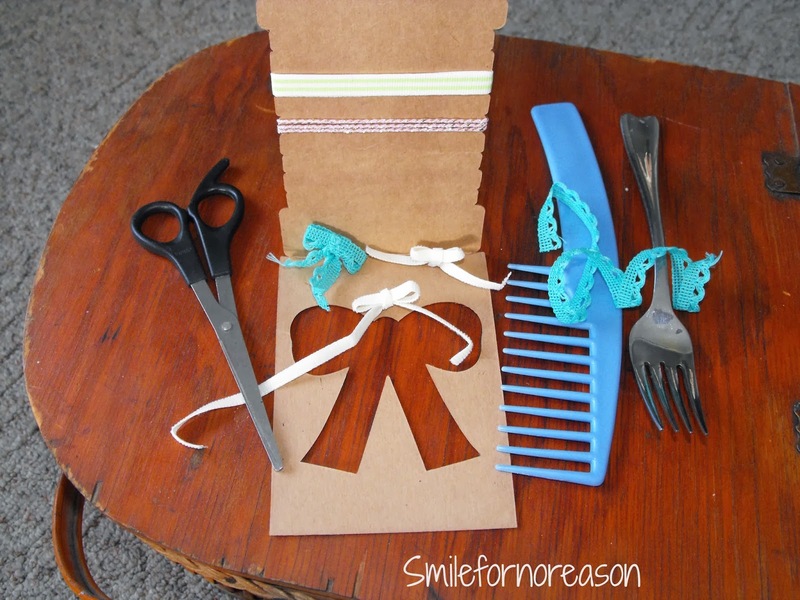 I, then, used scalloped edge scissors along the edge of the rust colored paper. I glued all of these pieces together and placed them on the bottom right of the card. 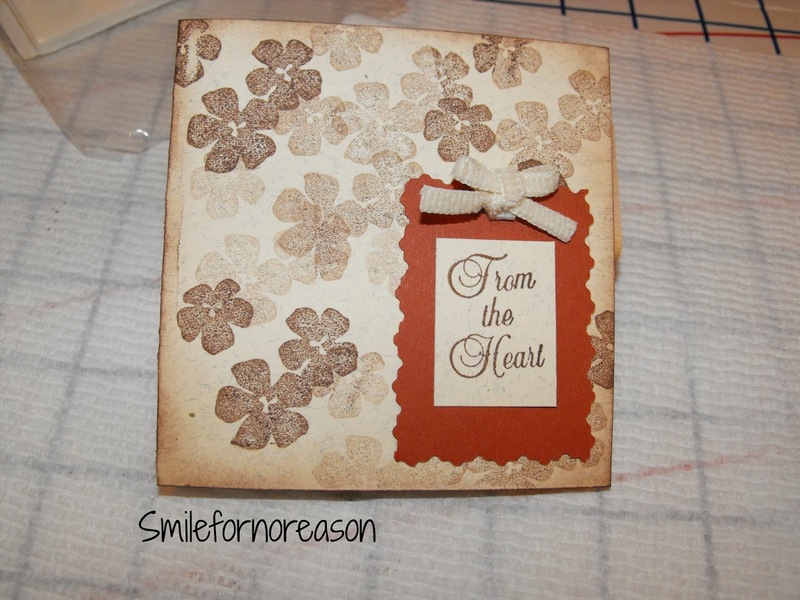 I used a dimensional dot and placed one of my handmade, small bows just above the from the heart stamp. I was finished. Ready to be put in the mail. What are some of your favorite cards to create? 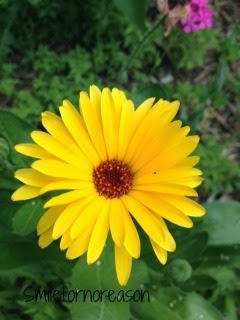 Here are pictures of flowers from my flower bed last summer. My handsome husband cut these flowers from the flower bed, put them in a vase, and they were waiting for me when I got home. What a beautiful anniversary bouquet! 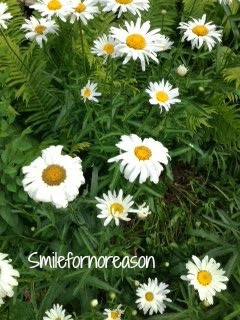 Now, by no means am I a gardener! I buy $1.00 box of flower seeds from the Dollar Tree. 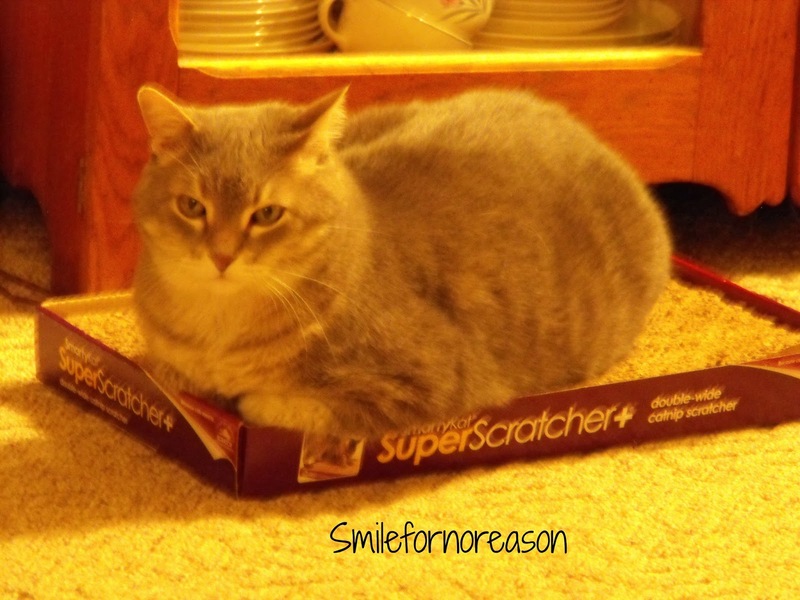 I scatter the box on the ground where I want flowers to go. I do not get the ground ready first. Or cover the seeds. Or water the seeds. I just let whatever happens, happen. 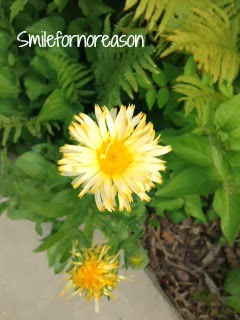 I even let some of the weeds stay in the flower bed. 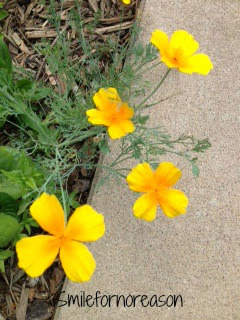 Some of the weeds have gorgeous flowers also. 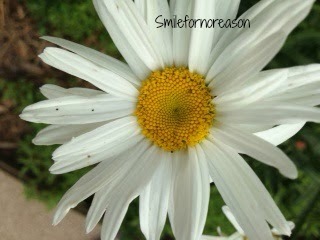 But, oh how I enjoy the pretty flowers that do come up and provide my flower beds with beautiful surprises. How do you take care of your flowers? 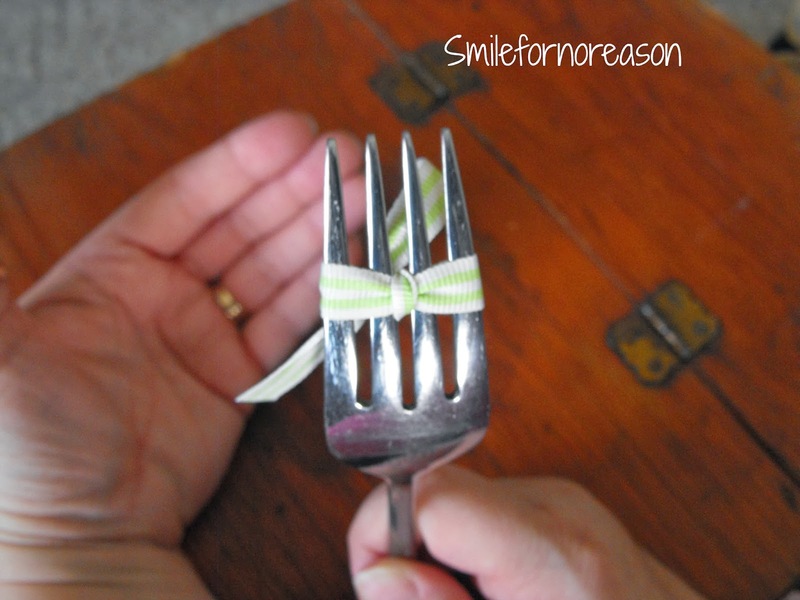 I was looking through Pinterest, when I spotted a fork with ribbon wrapped through it. 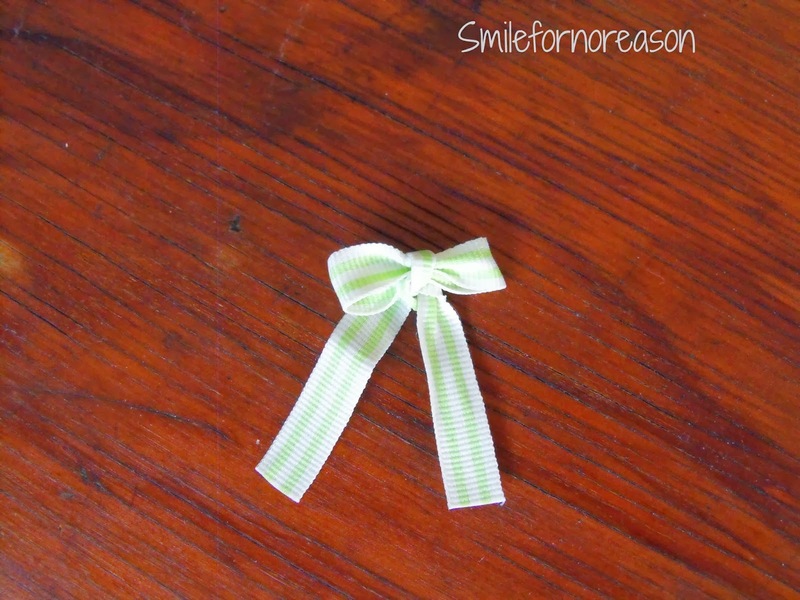 So I went to You Tube and watched videos on how to make these easy, cute, little bows. 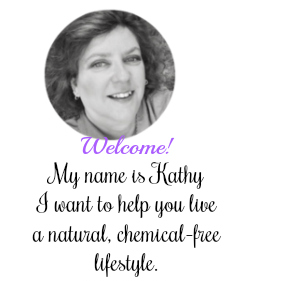 I want to share this easy DIY. My handsome husband helped me take pictures of this post. 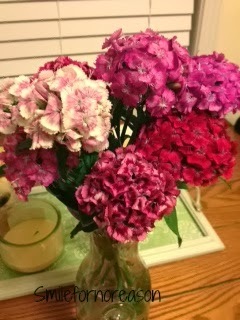 Thank you very much handsome husband! Your bows should look something like this. 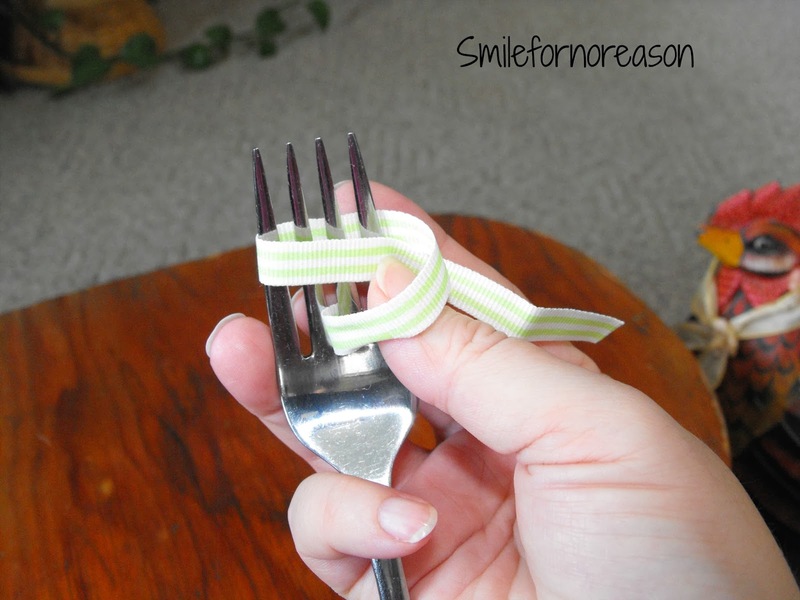 Gather together your desired ribbon cut to approximately 6 inches, a pair of scissors, and your fork. 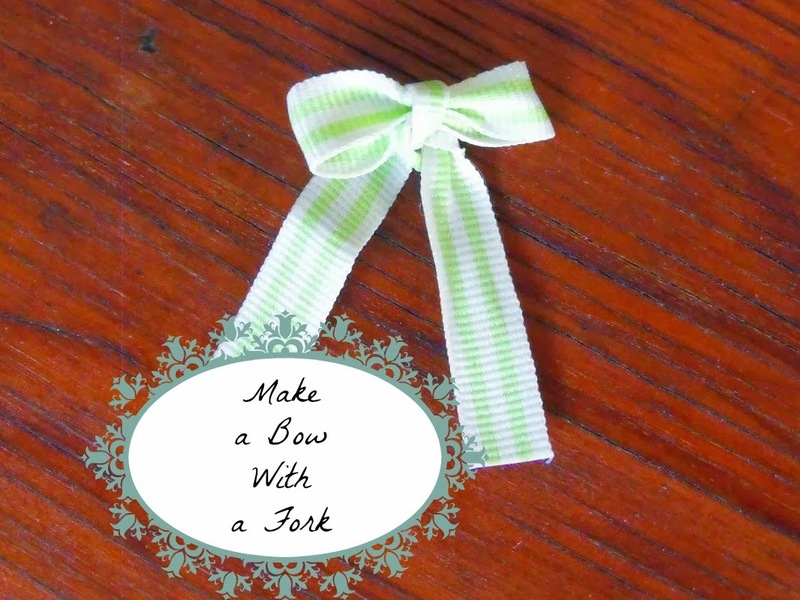 For larger bows, you can use a wide toothed comb. 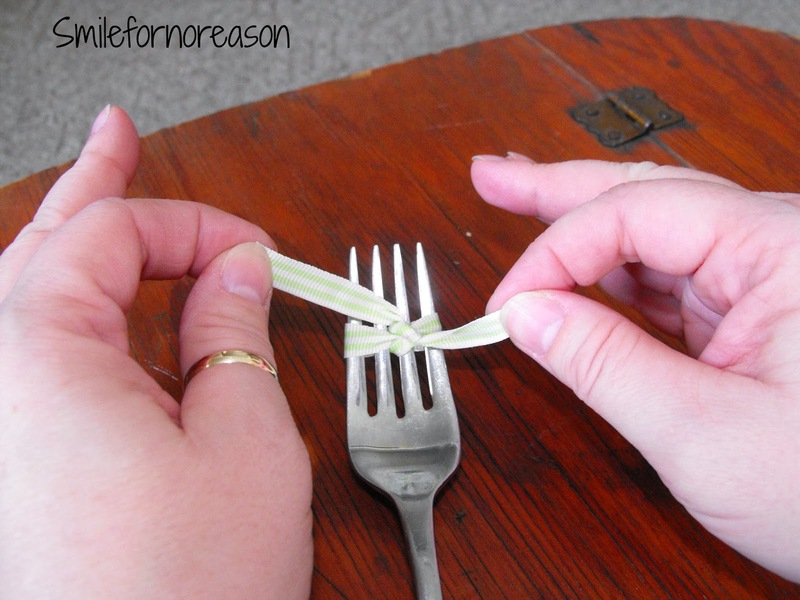 When using a fork or comb always make sure you are using the same amount of "prongs" for each side of the bow otherwise your bow will be lopsided when finished. 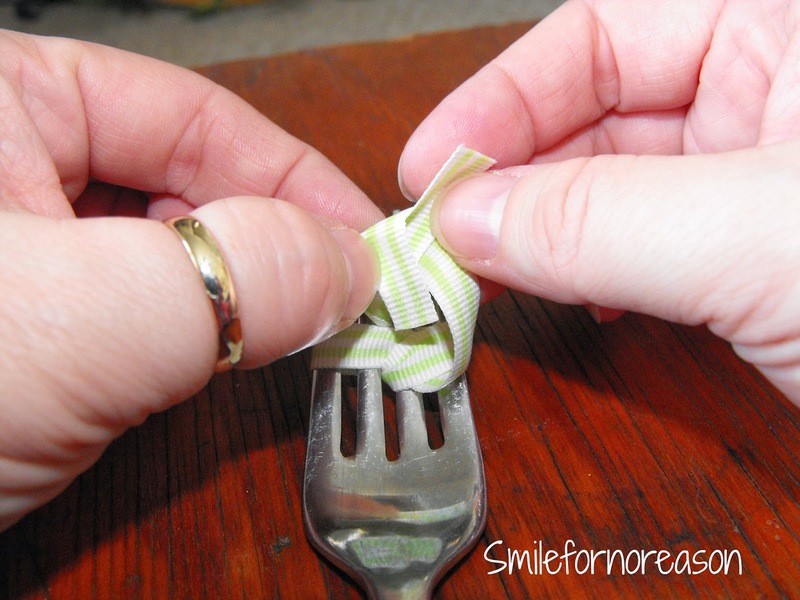 Wrap the ribbon around the fork, leaving the ribbon on the back side of the fork longer than the front ribbon. Wrap the back ribbon to the front. Insert that ribbon in the middle open space below the working ribbon. 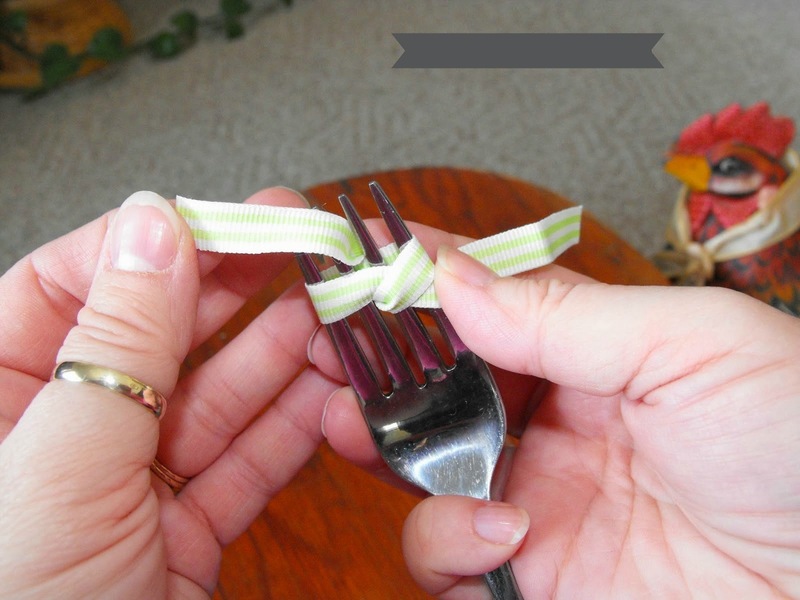 Then bring the ribbon behind the fork and insert back through the same open space this time above the working ribbon. 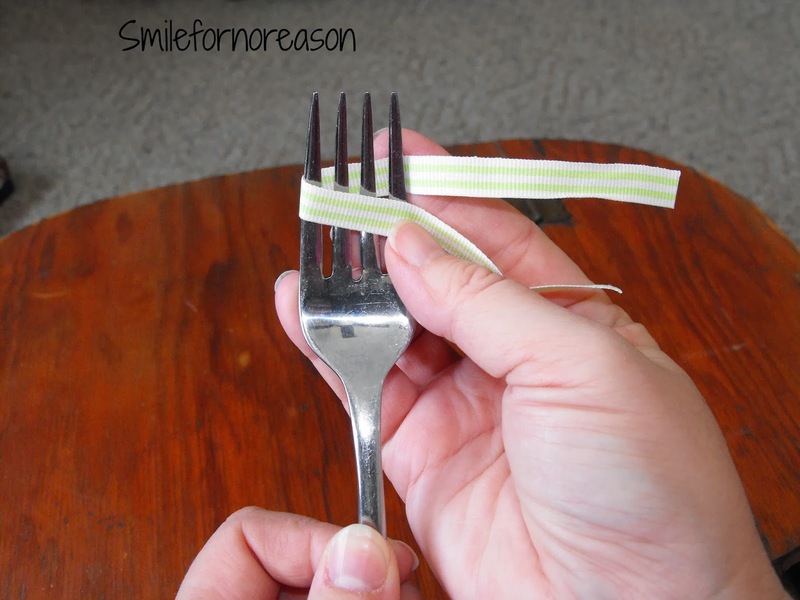 Both ends of the ribbon should be on this side of the fork. Make a knot. Turn the fork over and this is your bow! Now gently remove your bow from the fork. Cut off the ends to your desired length. Work with the bow some to get the ribbon to lay as flat as you would like it to and here is the finished bow.. So cute. Great for scrap booking. Attach to a hair clip for a young girls hair bow. 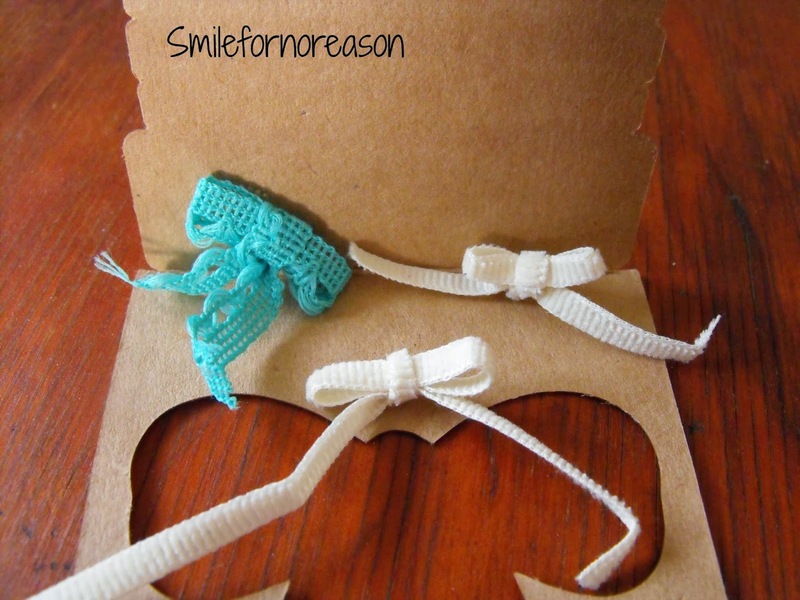 Cute idea to place on a handmade card. 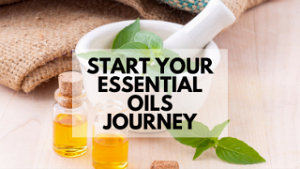 Let me know in the comments below if you have tried this project. I recently have had some physical therapy on my shoulder. The therapist gave me a recipe for making your own ice pack. I am very happy because using someone else's ice pack kind of grosses me out. My husband kept the ice pack he used on his knee after surgery in the freezer. I don't know why, but it made me uncomfortable with it in the freezer with the food. I am really talking way too much...here is the recipe. This is the ice pack after being in the freezer overnight. Place the above contents in the bag and freeze them. The contents should turn into a gel-like substance once frozen. Place the bag inside a pillowcase or thin dish towel and place on desired area for 15 minutes only! Do not ice more than once an hour. 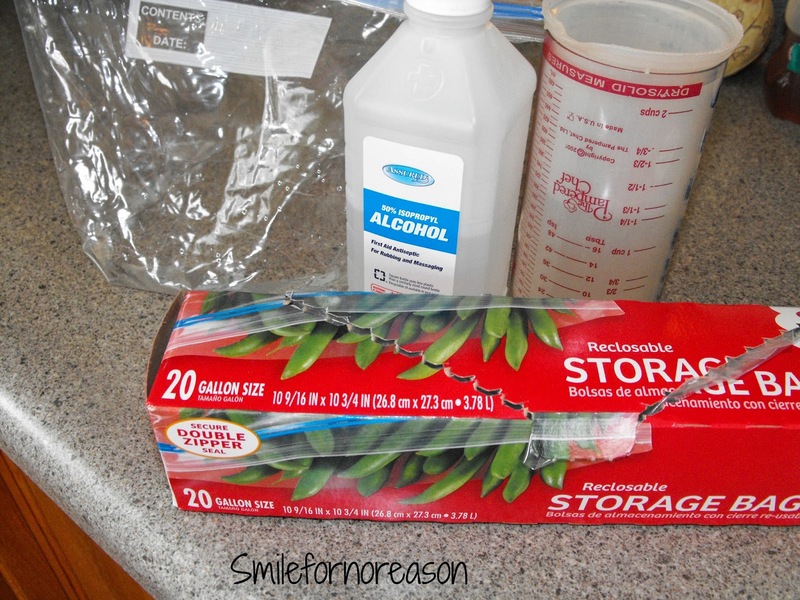 This is how the bag looks when filled with water and rubbing alcohol. And this is how the gel-like substance looks when entirely frozen. I was going to post this yesterday, but the water and alcohol took longer to freeze than I thought. Last night when I went to use the ice pack on my shoulder, after several minutes, the ice pack must not have been totally zip locked together and leaked on my shirt. So you will need to use 3 bags to make sure nothing leaks from the first bag. Other than those words of warning, I prefer the ice pack to just using a bag of plain ice cubes. 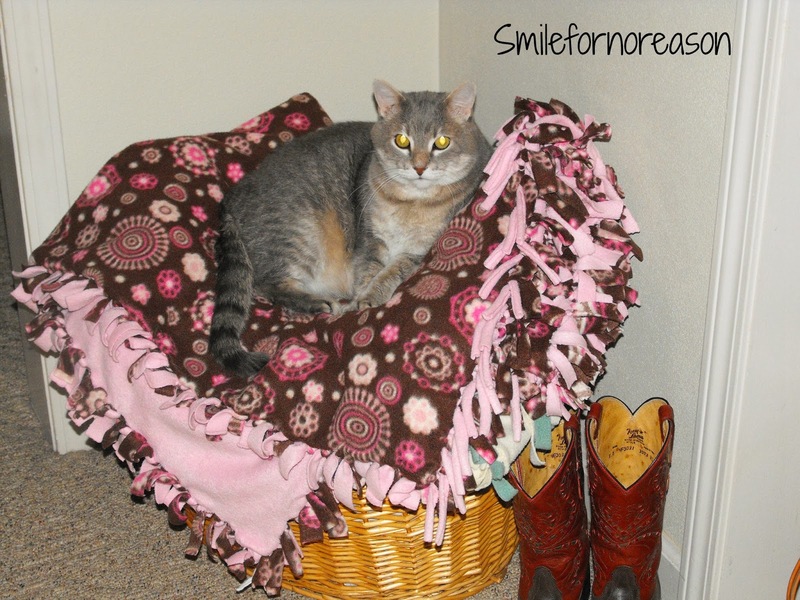 And definitely use an old pillowcase or dish towel, just in case. 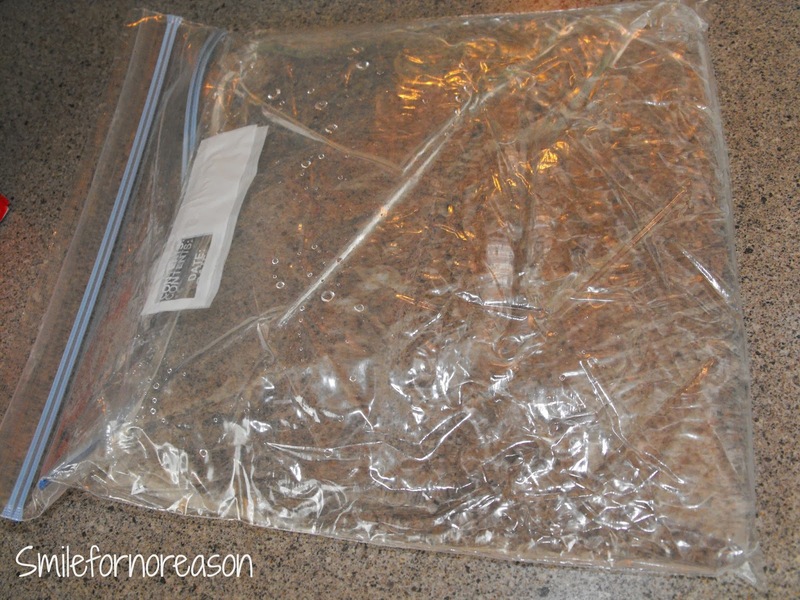 I do like this recipe because you can change the outer Ziploc bag and replace with a new one, for people who are squeamish of used ice packs in the freezer. 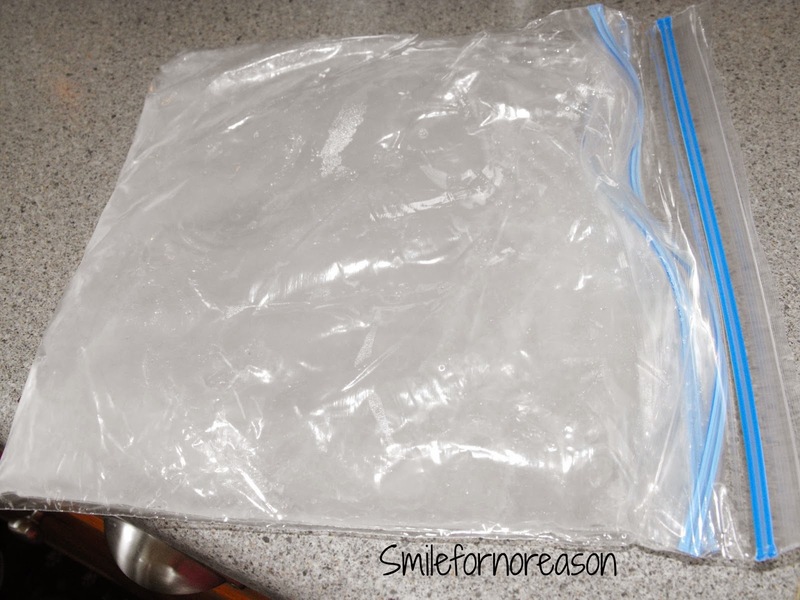 What other recipes do you know for making your own ice packs? Today we are to photograph the word, Love. I have no photos of my handsome husband and I together. 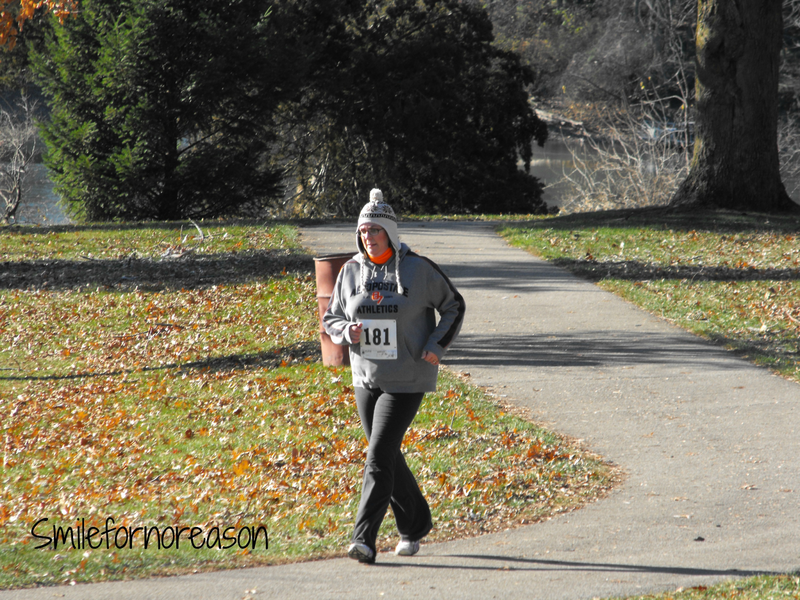 I do not have permission from my son to put his picture on my blog. So while I can not post pictures of them they are who I love first and foremost. Now, I have photographed and talked about our cat, he is very important in our lives and we love him dearly. This is not his bed, he just sleeps wherever he wants. And lays wherever he wants. Love walking and being outside. Let me know in the comments below, what you Love. What Coconut Oil Won The Test For Cooking And Skin Care? An easy guacamole recipe to take to a cookout. 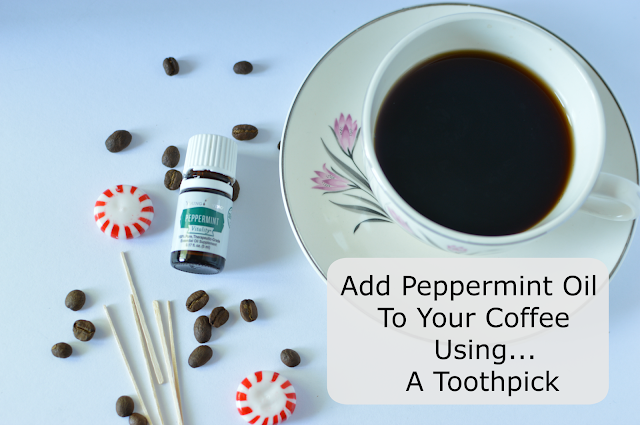 Instead of adding a drop of Peppermint oil to your coffee, try using a toothpick. 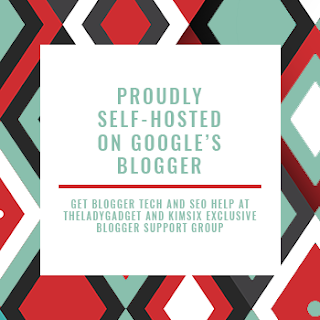 The site owner is benefiting financially or otherwise through each link or image you click on this site. All content is original and designed to provide value to our readers.